The following list details some of the software aids that can help players in their gaming. 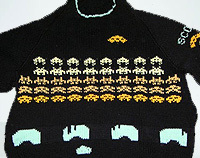 For instance, where a game is too fast or the controls too awkward, the following may help. Please feel free to e-mail for help on anything that is unclear. Cheat Engine for Windows games. N.B. Use this link for a safer direct download. Cheat Engine seems to point to infected versions. Datel's Action Replay and Code Junkies for downloads and hardware for consoles (lots of retro cheat devices such as the Game Genie on eBay). GameFAQs.com, Games Radar, YouTube and Twitch are all great resources for cheats, tips and walk throughs. You might also like to trawl through the archive of GameWinners.com too. MAME the Multiple Arcade Machine Emulator has an optional 'cheat' facility. Xploder offer a range of cheat systems (normally via save files). 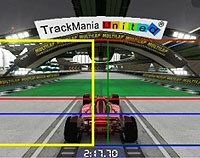 Many games are simply too fast for some to play. Windows PCs are possible to slow down for some games which can make things more manageable. Cheat Engine can slow some games down. N.B. Use this link for a safer direct download. Cheat Engine seems to point to infected versions. Mo'Slo - Very similar to CPU Killer. 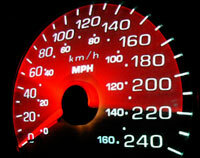 Can help to run DOS software on newer Windows machines at the correct speed. Nidd Valley Slomo - for 8-bit retro speed control. Made for machines including the Acorn BBC Micro, Electron, Commodore 64 and ZX Spectrum. Turn a dial to slow the machine down. Software that enables the emulation of mouse, keyboard and/or joystick devices. Alt-Controller - Mouse (and screen location) to key-presses. Play keyboard games with a pointer instead. 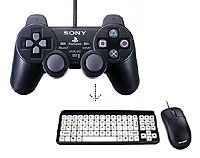 JoyToKey, Xpadder, Joystick to Mouse, PGP REWASD - Enable Joystick to mouse/keys. GlovePIE - Another versatile and powerful utility for remapping controls. Interesting example of mind control over Angry Birds hereAuto Hot Key - Very powerful utility for remapping controls. A very popular PC freeware screen reader is NVDA (Non Visual Desktop Access). Jaws the best selling commercial screen reader. Windows 7 has a superb screen magnifier that allows you to enlarge anything displayed on your desktop. Many other screen magnifiers exists, such as ISSIST, but the free one with Windows 7 is the best I've yet used with games. Cheat Engine for Windows games. 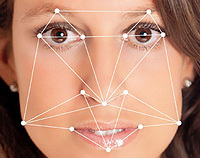 Kinect based assistve technology can enable a wide range of "virtual" switches to be mapped out in space, on a user's body or a user's face. OAK Air Switches - Requires Kinect for PC. A more powerful alternative. Kinesic Mouse - Superb software enabling head movements and facial expressions to be mapped to mouse, keyboard and joystick functions. Webcam switches allow you to define areas within the field of vision of a webcam that can be used as switches. Move within that defined area and you can trigger a left-click for instance. 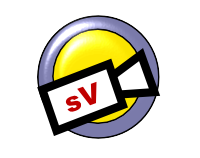 Switch Viacam - Free for PCs using standard webcams and can be used for one or two switches. These utilities enable people to enter text sentences who would be unable to with a traditional physical keyboard. Some utilities will assist dyslexic gamers too. Some allow for switch access too. You will find more help at Able Gamers and the Game-Accessibility.com On Screen Keyboards forum thread.